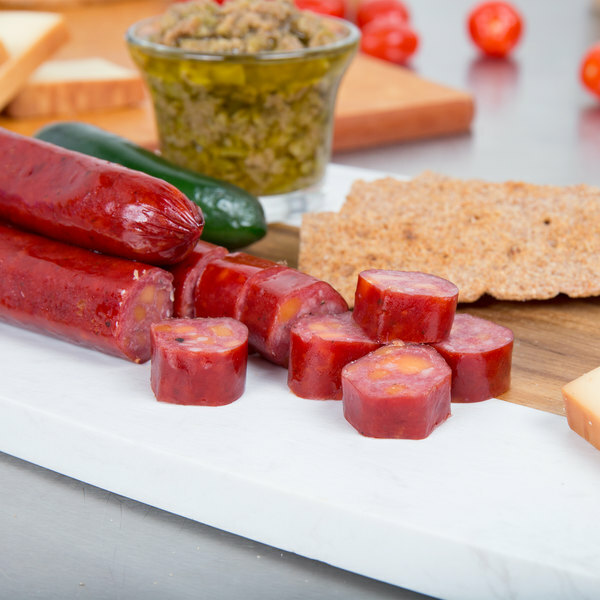 Infusing sweet and smoky flavors into full-bodied snack sticks, these Groff's Meats sweet bologna sticks with cheese combine the flavor your customers crave with the quality they expect. Sweet bologna is a Lancaster County staple and once you try this meat stick you will find it hard to resist not keeping some on hand. Cut them into bite-sized pieces and serve with a side of sweet or spicy mustard, or pair with aged cheeses and fresh fruits on charcuterie boards. No matter how you use them, these sweet bologna sticks make an ideal addition to your restaurant, cafe, or deli. With these sweet bologna sticks, you'll be able to give your guests the sweet meat flavor they want with a savory kick. They are crafted from high-quality domestic beef and yellow cheddar cheese, cured with a classic blend of sugar, salt, and flavorful spices. You can see the flavorful bits of creamy yellow cheese in the bologna sticks, and each bite is packed full of the always popular tangy flavor of mild cheddar cheese. 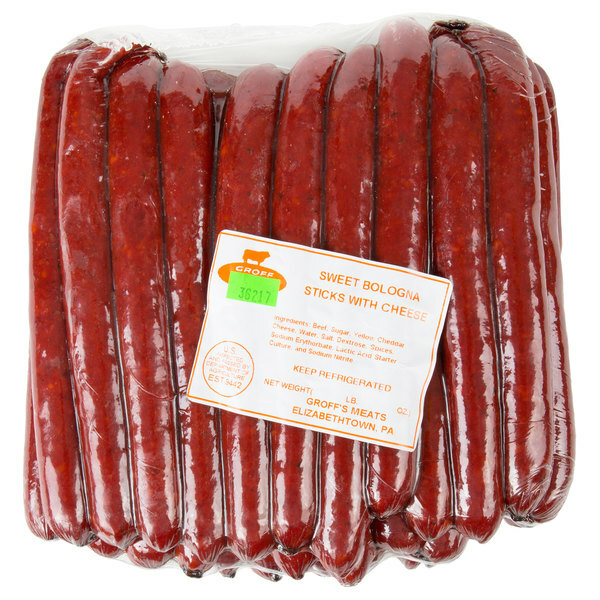 The meat is smoked in traditional smokehouse fashion, then vacuum packed to preserve product freshness immediately after processing.The firm casing locks in the tender and juicy meat, guaranteeing a smooth texture with a pleasant snappy bite.